Welcome, in the name of Christ. 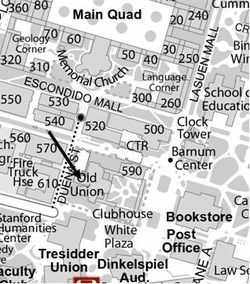 College students (and college-aged folk) are welcome to this weekly gathering for dinner and conversation, every Tuesday evening of the school year at 5:30 in the CIRCLE Common Room (see map). Our gathering always consists of dinner (almost always home-cooked), conversation, and prayer. We have Bible study, discuss current events, play games, watch movies, etc. Bring a friend . . . All are welcome! Find twenty minutes of peace every Thursday, at 12:10 pm in the side-chapel of Memorial Church. The Thursday Eucharist is a brief, quiet, meditative service of prayer, scripture, and Holy Communion. All are welcome.